I wanted to create something that would showcase what a pretty color combination this was. To achieve the lighter tones on my flowers I used the ink the same ink, but I stamped "off" for the rose blossom, and the purple flower with the dark center was the same color stamped three times! You can definitely make your inks go a long way if you think outside the box! 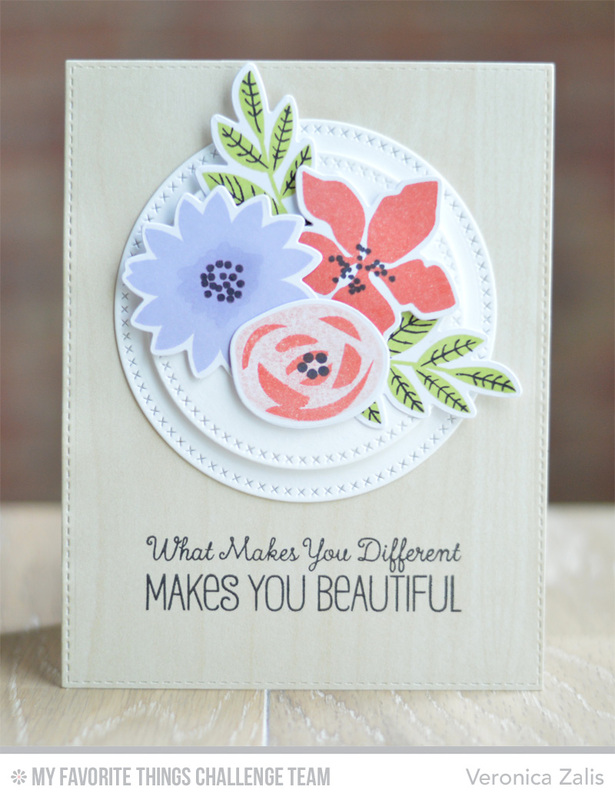 Be sure to visit the MFT Card Challenges Blog to see the cards that my amazing design team-mates and friend created using Color Challenge #20. I hope you will play along with us this week at the MFT Color Challenge!